Florida: A funeral home employee and pastor in Deland has been arrested after police said he used the company’s hearse to take an underage teen girl to a hotel where he sexually molested her. Michael Campbell, 46, who lists his occupation as pastor, picked the then 15 year old girl up from her home after telling her father he needed some help at the funeral home. After picking up the girl in the hearse he took her with him while he dropped a body off at the airport. He then told the girl that she could make money as a model and help out her disabled mother. After leaving the airport he pulled the hearse to the side of the road and had the girl partially disrobe. He then took her to a motel to perform ‘skits’. 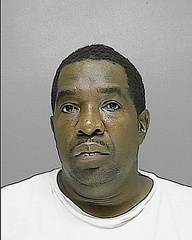 After the first incident, Campbell again staged another in 2007 involving the same teen. In that incident he told the girl that the ‘skits’ where how Britney Spears and Beyonce had got their start.